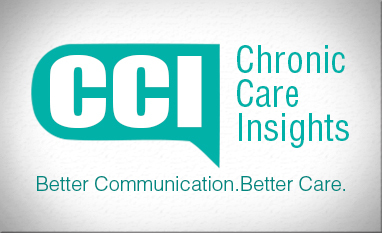 Chronic Care Insights is a company founded by Nicole Guerin offering communication services between doctors and their patients. She facilitates reducing barriers that frequently are created between patients and their practitioners. By building stronger bonds between health care providers and the people they care for, they are able to better provide health care services. 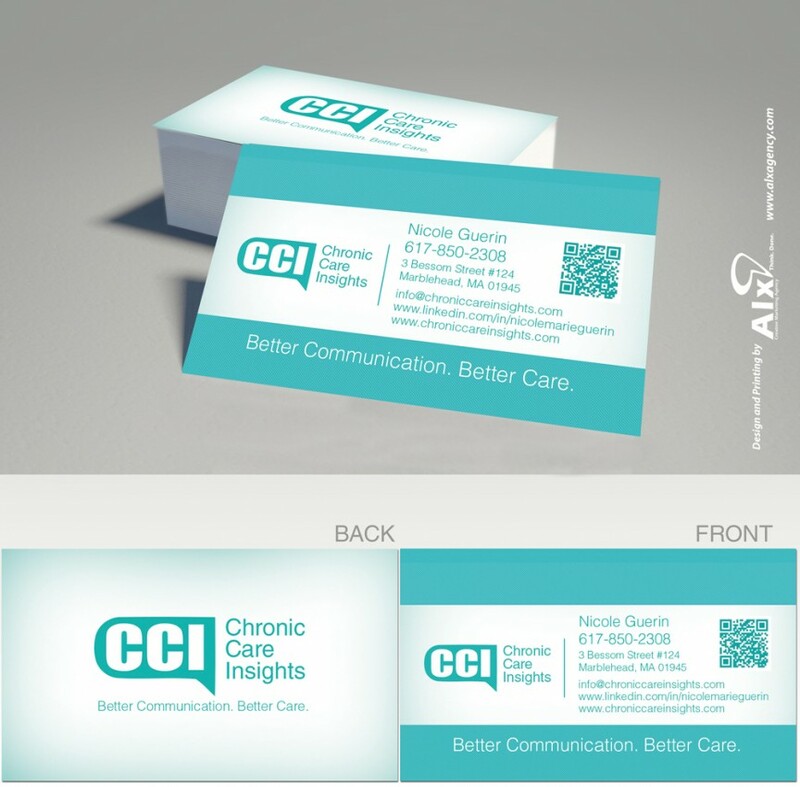 Chronic Care Insights came to ALX Agency seeking a fresh and modern design for their website. 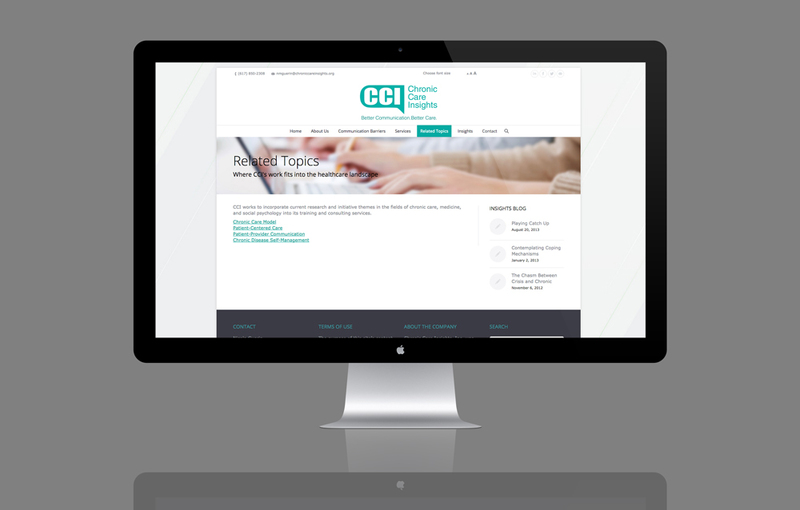 Nicole wanted a site that had a softer appearance, but had enough of a formality to present a blog with empirical evidence and personal studies carried out by CCI. To better accommodate older practitioners who may be viewing the site, we added an the ability to change the font size of all characters on the website. Keeping the primary objective of CCI’s business in mind, we used a speech bubble to encircle the acronyms. We also chose to use a delicate light font to be in line with the softer care method that CCI expresses. 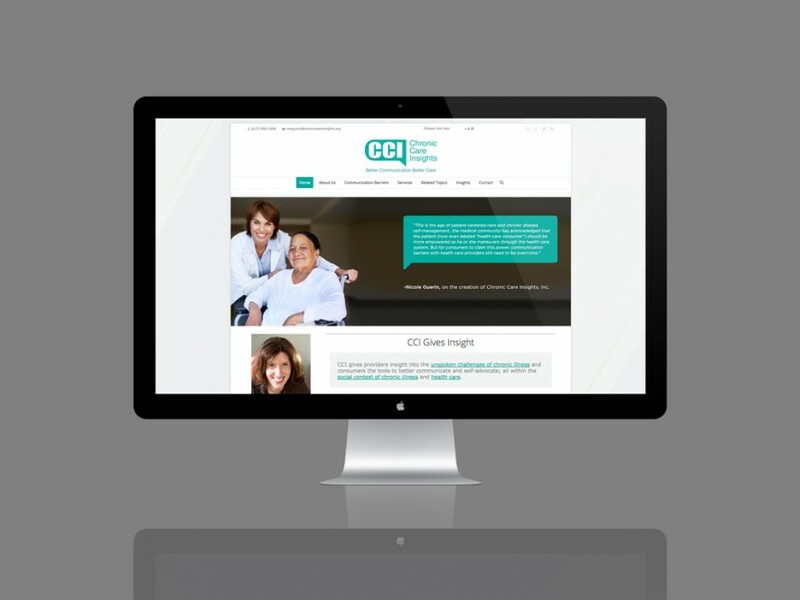 With the addition of a QR code, we gave CCI’s client’s a quick way to access CCI’s website in seconds.